By Ian Pollard in News and Views, Uncategorized on 16th May 2017 . Vodafone VOD. My own personal experience is that Vodafone can not even operate its own internal phone systems properly so it is not much of a surprise to see that it has problems globally. Group revenue fell by 4.4% for the year to the end of March, the loss for the year rose by 18.7% and the basic loss per share rose by 11.2% all of which were celebrated with a 2% increase in the interim dividend despite a rise in the company’s debt. The groups explanation is that foreign exchange movements were primarily responsible for the loss, it faces increased regulatory headwinds but as signs of hope for the future, adjusted like for like earnings per share grew by 17% and organic EBITDA by 5.8%. Crest Nicholson CRST reports that the housing market continues to be robust with mortgages easily available and government support in the shape of the Help to Buy scheme showing no sign of ending. Unit sales growth of about 10% is expected for the year to the 31st October, although sales per outlet in the first half are expected to show a fall from 0.87 to 0.81. As a result of investment in higher quality land, average selling prices have increased (what a surprise). It was expected that unit completions in the first half would fall and they did – from 1206 units to 1,064. As at the end of April forward sales were 5% ahead of last year. 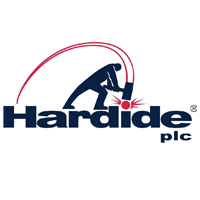 Hardide HDD First half revenue rose by 57% over last years first half and by 27% on the second half, as demand began to return from the oil and gas sector, which is still challenging and volatile. Sales to the sector rose by 115%. The company is still loss making but the EBITDA loss is down from £0.72m. to £0.43m. and the like for like group operating loss for the first half has fallen from £1.02m to £0.72m. DCC PLC (DCC) after a strong year DCC is raising its final dividend for the year to 31st March by 16.3%, making a total increase for the year of 15%. Continuing revenue rose by 9%, leading to a rise of 21% in total operating profit and 18% in earnings per share. The current year is expected to show further profit growth and development. Zytronic ZYT After what appears to be strong all round growth, Zytronic is increasing its interim dividend by 10% for the half year to the 31st October.Basic earnings per share rose by 44%, group revenue was up from £9.9m to £11.3m. and profit before tax enjoyed a healthy jump from £1.8m to £2.5m. The second half of the year has started well, says the company.